Groups of people with a common interest tend to have photographs taken frequently, especially if they have been successful. Often the members were recorded each year, so pictures of groups like sports teams and choirs are relatively common. 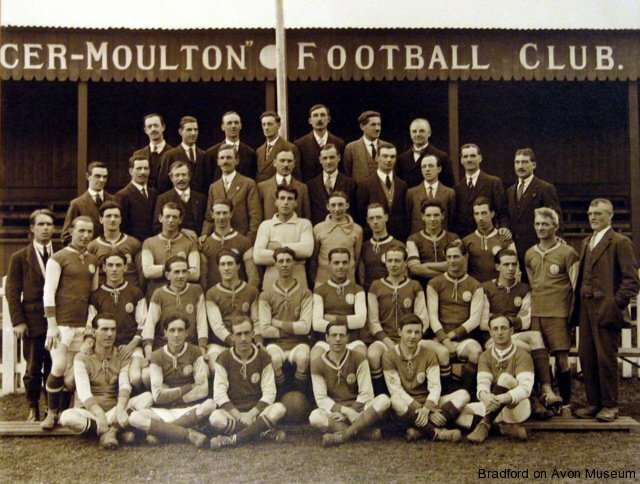 A large number of the group photographs in the Museum collection feature the various sports teams that were associated with employees of the Spencer Moulton rubber company and its successor, the Avon company. All too often the Museum does not know the identity of all the members in the pictures -can anybody help? Use the “Contact us” button to supply any information.